The trade show floor can be a tough competition. Hundreds of vendors vying for participant’s time and attention during a busy conference can mean the countless hours your marketing team put into a trade show booth’s design and giveaway items could have less-than-intended impact. 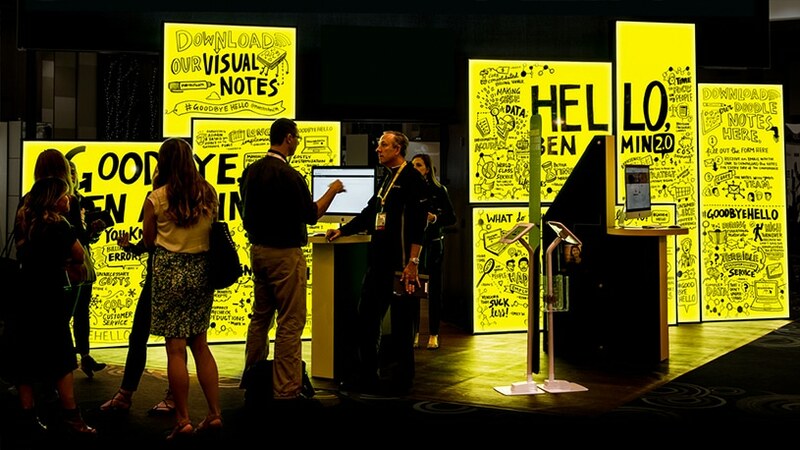 Visual notes are the solution to that trade show floor struggle. They’ll have people flocking to your booth – even coming back for more the next day. 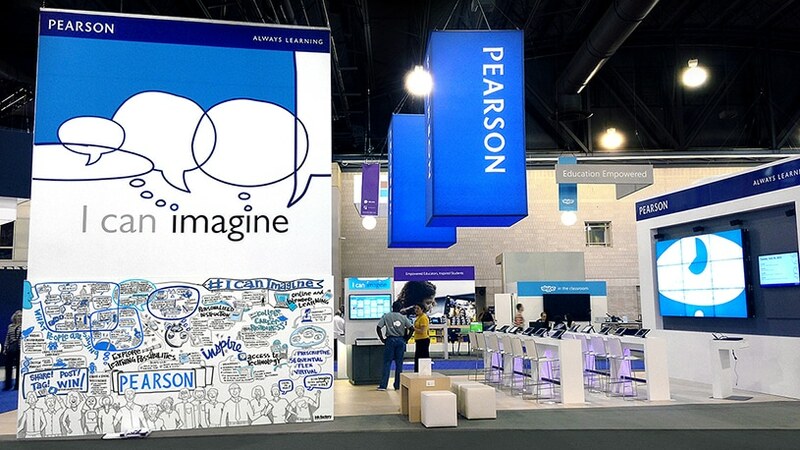 Visual notes can be incorporated into a booth’s design in so many ways. They can be the main attraction, or one element to your display. 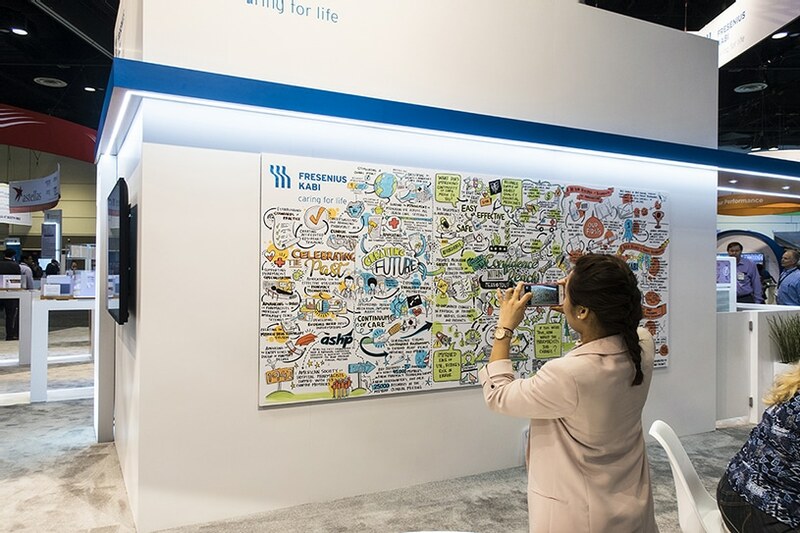 For Fresenius Kabi’s booth, in collaboration with IMS Solutions, we illustrated three sections of pre-determined content when the trade show floor was open at the 2017 ASHP Midyear. Passersby were amazed to see an artist working live, which pulled them into the booth. They could read all about Fresenius Kabi’s offerings, and chat with representatives from the company. Because visuals engage the emotional processing part of our brain, they’re better suited towards exciting people about your brand than standard trade show displays. A fantastic way to engage with participants on the trade show floor is to pose a question to them – like NetSuite’s question to Non-Profit attendees at NTEN 2015. We drew boards with “How does technology further your social mission” featured prominently, and as people approached to answer, NetSuite’s representatives were able to engage them in conversation. Attendees were thrilled to see their answers drawn live in front of them, posing and posting on social media. And at the end of the event, Netsuite was left with several boards that showed what their clients were looking for in a partner, better informing them on how they can improve their organization and serve their clients. It’s common for conferences and organizations to employ hashtags to engage with participants on social media during events. 25) Tweets with images receive 150% more retweets than tweets without images (Source). 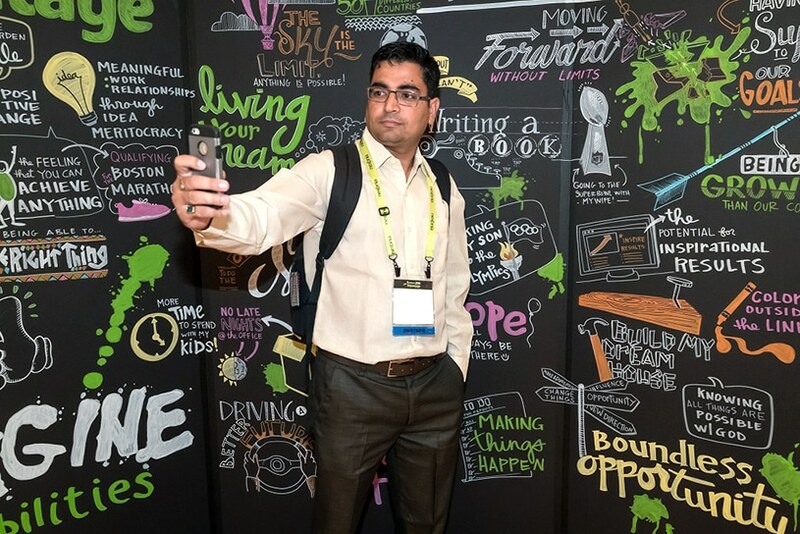 It can be a struggle to engage with people on social media when content is a bit dry, so when we’re drawing at a trade show booth, people love to snap a picture and post it on Instagram, Twitter, and Facebook. The more we draw, the more your ideas are shared with the world! 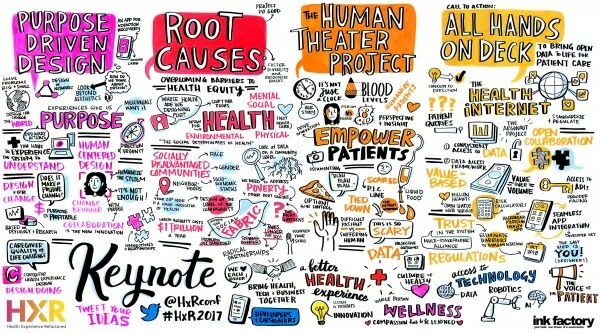 Our clients love visual notes because they not only engage audiences live, but they also serve as a beautiful and concise record of the content that was presented and discussed. They key ideas you’re trying to get across to your audiences are immortalized in the images we create – and they’re perfect for sharing long after the conference has ended. Want to follow up with your booth visitors? Send them a copy of your visual notes! We remember 80 percent of what we see, but only 10 percent of what we hear. To the brain, words are more abstract and more difficult to retain, but visuals are concrete and more easily remembered. 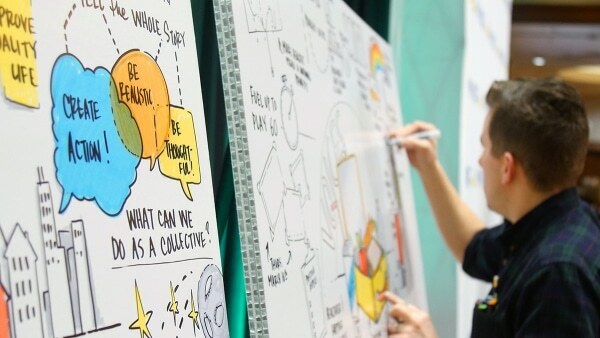 If you want to remind participants about your brand, make sure you’ve got visual notes to make that connection! 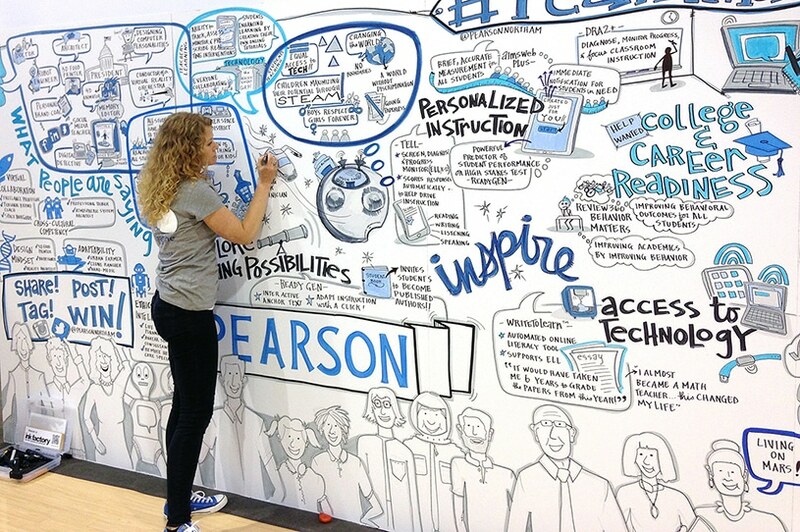 Have a trade show or conference coming up that could use some visual note-taking? Contact us and we’ll get started on a custom quote.